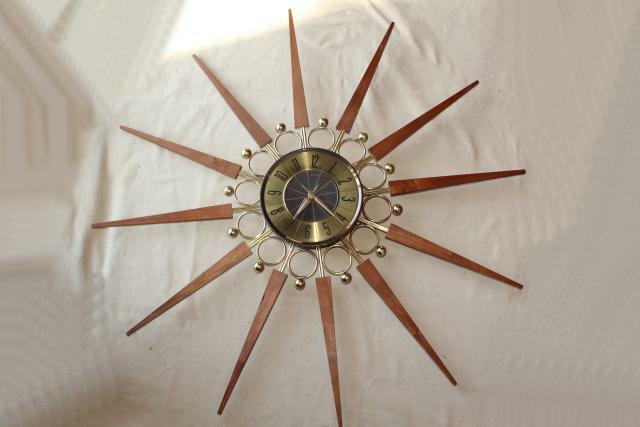 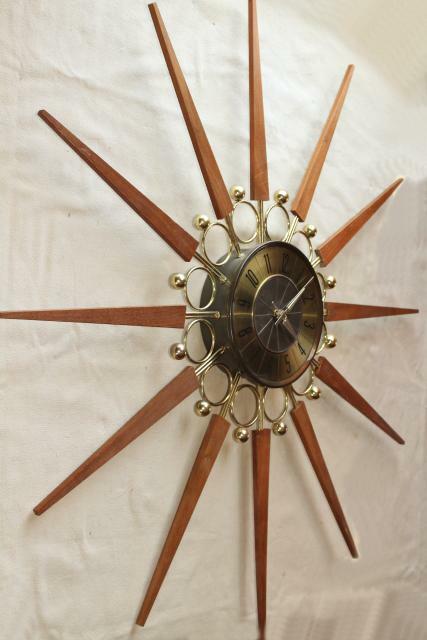 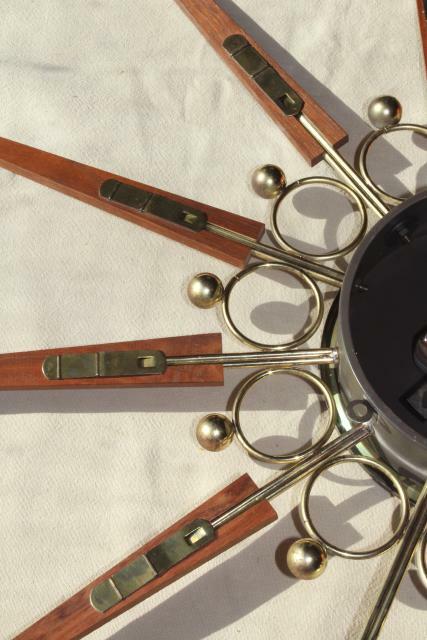 Huge 31 inch atomic starburst Elgin clock... brass plated with solid teak rays and a battery operated movement (movement not working). 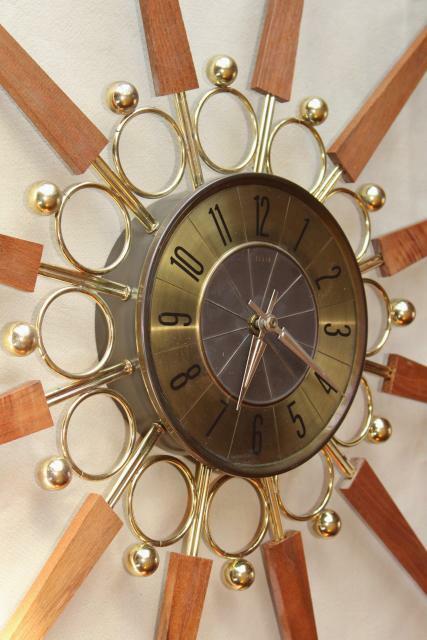 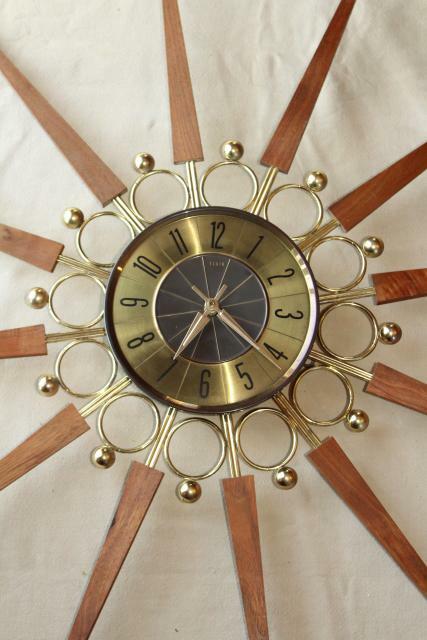 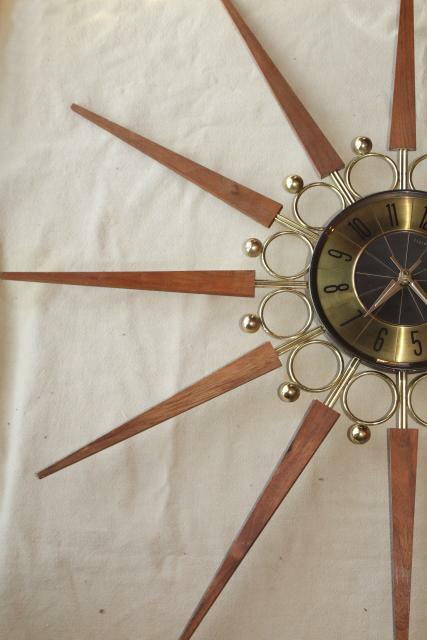 This clock's body has been repaired, but still a beautiful piece of mid century furniture. 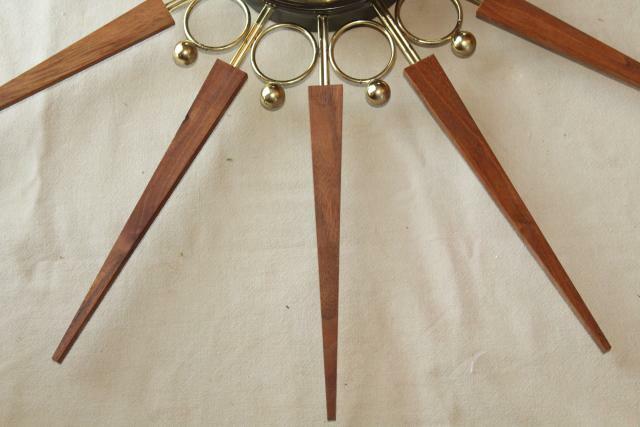 The teak is amazing! 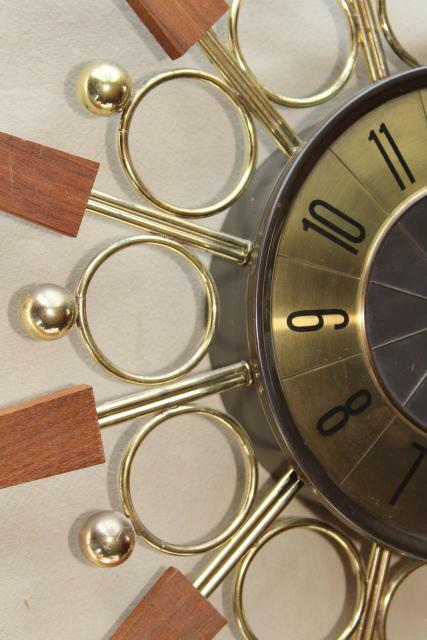 A couple of the metal rays have been soldered where they fasten to the clock body. 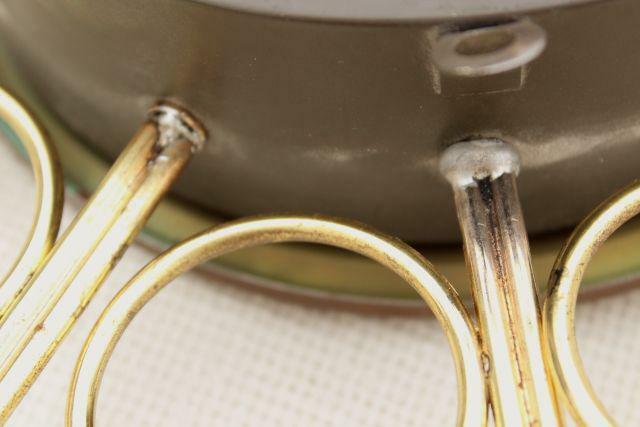 There's a little discoloration to the brass plating and some visible solder at the joints as shown. 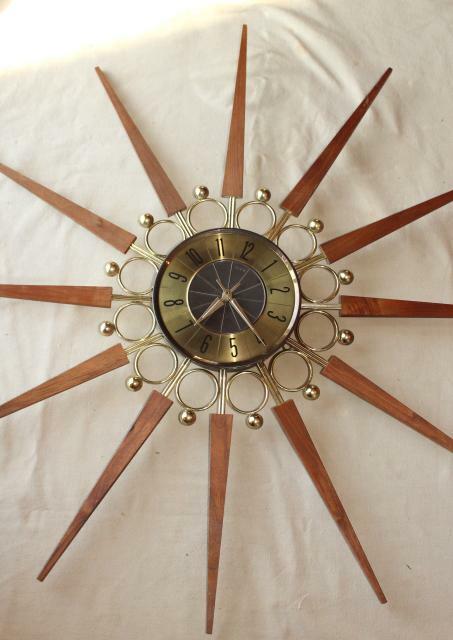 The repair's not really visible when the clock's on the wall as they're down behind the edge of the clock face. 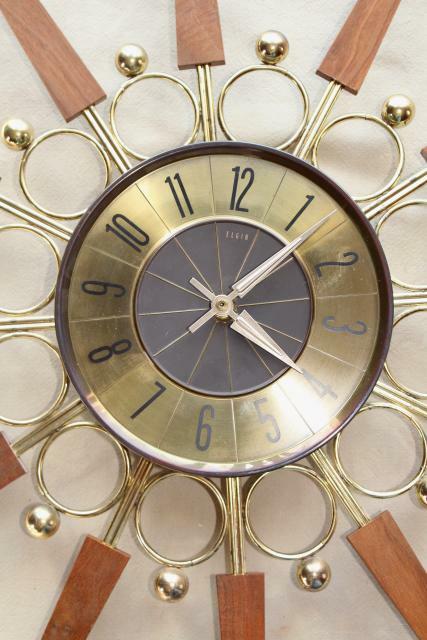 The Elgin movement is marked made in Germany. 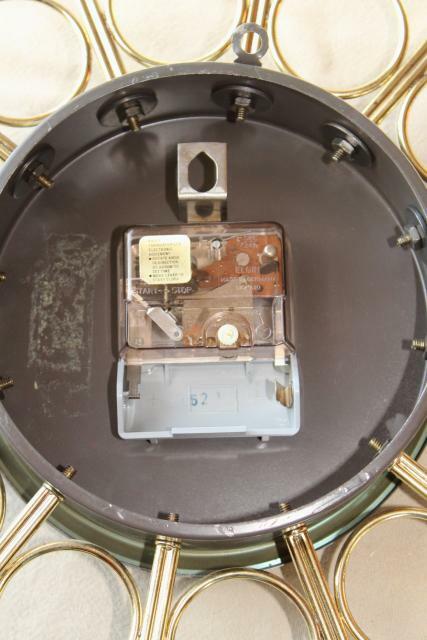 It isn't working and we haven't attempted to fix it.